This year I have read 29 books so far. This is a little behind where I was at last year at this time, but 29 books is still a decent amount of books and I am happy with it. By the way my daughter has me beat at over 80 books! It has been awhile since I shared what I have been reading and when I asked on Facebook recently if you all wanted me to share another post, many of you said you would love to hear what I am reading. Today that is exactly what I am doing. I know this is a totally non food post and some of you may not be interested in what I am reading. That is fine and I get that. That is why I don’t do these posts very often. If you are not interested feel free to skip over this post. I will be back tomorrow with my menu plans and next week with a new recipes. One of the reasons that I stopped doing so many of these posts was that I realized that I don’t read the same types of books that many of my readers read. I don’t really read a lot of fiction. I read some historical fiction, but not a lot. I read mainly biographies, history, how to, business books, and Christian books. I like books that challenge me and make me think even if I don’t totally agree with them. Many of you read totally different types of books and that is fine. Hopefully you will still find my list interesting and you might even find a book or two that you want to read. I am not sharing all of what I have been reading, I am just highlighting a few of the books that I have read recently or am currently reading. And I will warn you that this is a bit of a long post. Some of your shared that you wanted me to share a brief review for the books I share, so I wanted to be sure to include that with each book. It made for a long post, but I hope you enjoy it. 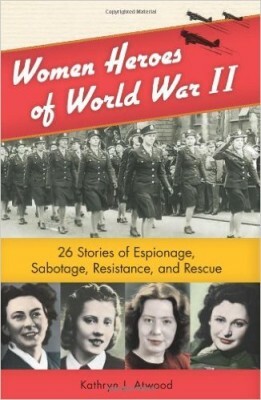 Women Heroes of World War II: 26 Stories of Espionage, Sabotage, Resistance, and Rescue – I got this book for my daughter to read since she loves historical books, especially WWII books. I decided to read it first and I am glad I did. I really enjoyed it. So often what we hear and read about from WWII is the men’s side of fighting and what they sacrificed. I really enjoyed reading a little bit more about some of the women that also sacrificed so much. 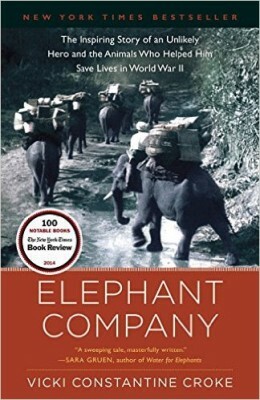 Elephant Company: The Inspiring Story of an Unlikely Hero and the Animals Who Helped Him Save Lives in World War II – I loved this book. My daughter definitely gets her love of history type books from me. The main reason I loved this book is because it covers a part of history that we often don’t hear about. It covers the time period between WWI and WWII and then into WWII, but it does not cover the usual areas that we read about. This books covers Burma, India, and that part of the world and was fascinating to me. I loved reading about what happened in that part of the world during WWII because I basically knew nothing about it. I let my father in-law borrow the book and he felt the same way. He loved it because he knew very little about that area of the world during WWII. I will say that there were some parts of this book that were a bit rough. I bought this book for my daughter to read, but I decided to read it first. I am so glad I did. There are some sexual things in the book that could and I think should have totally been left out of the book. And those spots were pretty graphic. So even though I loved the book I wanted to make sure to add that warning. Cheaper by the Dozen -A few weeks ago I told my daughter that I needed a fun lighter reading type book. She highly suggested that I read Cheaper By The Dozen. She read it and loved it and knew I would too. She was right. This book was just what I needed to read. It was an easy read and so funny. I can’t wait to read the second book Bells On My Toes. 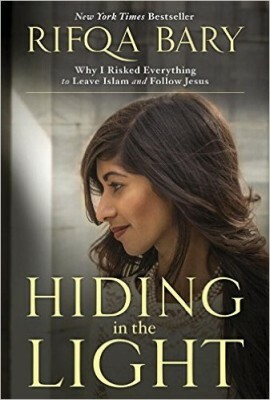 Hiding in the Light – I have mixed thoughts on this book. I enjoyed it. It was interesting to learn more about a story that was a big news story not that long ago. I am glad I read it, but there were a few things that I did not really like about it. First of all I thought the writing was lacking a little. It was okay, but certainly not the best written book I have read. It seems like it was almost written in a hurry. I also thought that they really rushed the second half of the book. They spent quite a bit of time on her childhood and the background information and then I felt like they rushed through the second part of her life. The part where she stood up for what she believed. I would have loved to read more in depth about that part of her life. They covered it, but it just felt rushed. What I did like about this book was that it was a book about standing up for what you believe and being willing to risk it all. Overall the book was worth reading. It just wasn’t quite what I thought it would be. 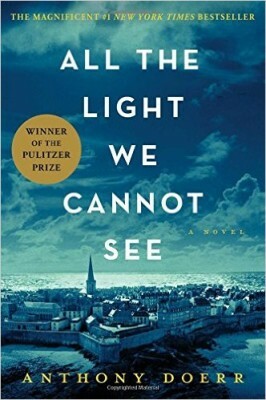 All the Light We Cannot See – I wish I could say that I loved this book. It is one of those books that I kept hearing about and knew I wanted to read. I have read all kinds of great things about this book. I was prepared to love it. I didn’t. It wasn’t that it was a bad book, I think it just wasn’t my style of book. I really can’t figure out why I didn’t like this one. I think part of it is just that it seems so unrealistic and unlikely to happen. It was a good story, but not one I could see actually happening. Maybe this is why I don’t read a lot of novels and fiction. If I am going to historical fiction, I like it to feel real. For me this one didn’t. In the end I finished the book, but I almost didn’t. I kept hoping I would change my mind and like it, but again I didn’t really enjoy it. I have to add that I am in the minority on this. This book has been reviewed by over 14,000 people on Amazon and has a 4.5 star rating. Obviously most people disagreed with me on this and loved it. If you read it I am curious what you thought. Did you enjoy it? 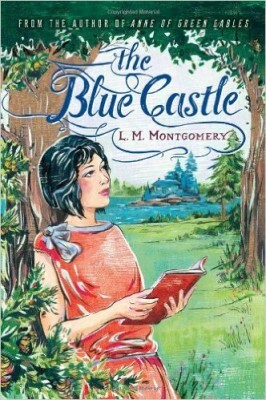 The Blue Castle – This is another book that I did not really like and I actually gave up on.When I was a kid I read the Anne of Green Gables series. I read it again as an adult. I loved the series. Over the last few years I have tried reading a few other books by Lucy Maude Montgomery and have not enjoyed them at all. They are just so different from Anne of Green Gables. It is almost like they are written from a totally different author. If you have read other books by Lucy Maude Montgomery I would love to hear your thoughts. I usually have 4 or 5 books going at once. I know this would drive a lot of people crazy, but I have read like this for years. The books are almost always on totally different subjects, which is why I can have so many going at the same time. I love being able to pick up whatever book I am in the mood for. Sometimes I want to read something more serious and other times something a little lighter and fun. Reading multiple books at a time allows me to do this. So, here are a few of the books I am currently reading. 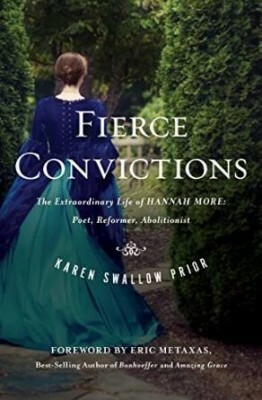 Fierce Convictions: The Extraordinary Life of Hannah More?Poet, Reformer, Abolitionist – I read the book Amazing Grace last year and really enjoyed it. When I saw this book I knew I wanted to read it too. Most people have heard quite a bit about William Wilberforce and John Newton, but not many people have heard of Hannah More’s life. I am really enjoying learning more about a person that made a big impact on history, yet someone I knew very little about. How to Raise an Adult: Break Free of the Overparenting Trap and Prepare Your Kid for Success – I just started this book How to Raise an Adult. So far I would say that I don’t agree with everything in it, but I am really enjoying it. The author makes some really good points about how modern day parents are raising kids. It is making me think about some of the things that I have done with my kids and how I should change a few things. What the Most Successful People Do Before Breakfast: A Short Guide to Making Over Your Mornings– This is another book that I am not very far in, but am enjoying. I don’t think any of the information is all that new to me, but a lot of it is information I needed reminded of. Over the last year or so I have felt very disorganized and scattered at times. I don’t do well with disorganization. I do much better when I have schedules and plans. I know that about myself, but over the last year I have had trouble in this area. I am hoping this book will give me some motivation to get back on track. Creativity, Inc.: Overcoming the Unseen Forces That Stand in the Way of True Inspiration – My husband and I own several business so I always enjoy reading business types books. I find it very interesting to read how others have grown companies and been successful. I started reading this a week or two ago and am loving it. Pixar is a company we all know, but I knew very little about how it was started and what it took to get the company going. I am looking forward to finishing this book. 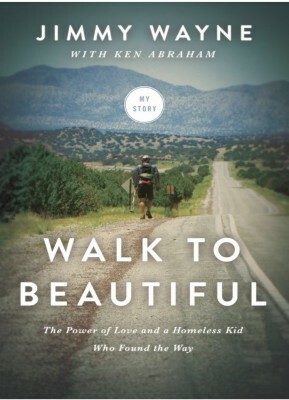 Walk to Beautiful: The Power of Love and a Homeless Kid Who Found the Way – This last one is a book that I have gone back and forth about sharing. This is one I have finished, but it is a tough read. It shares part of America that most people do not want to admit exists. We often look over seas, at third world countries, and see pain, suffering, poverty, and abuse, but we over look it in our own neighborhoods and cities. It is not that we can’t see it, it is often that we choose not to. The reality is that most of us, me included, don’t take the time to see what goes on around us. This book forces you to see it. It leaves a view in your mind that is hard to forget. This book is one of the toughest books that I have read in a long time. This is one of those books that will stick with me. Walk To Beautiful is about the life of country music star Jimmy Wayne. I really had no idea who Jimmy Wayne was until I read this book. I am way behind the times on music, I knew a couple of his songs, but did not realize he was the one who sang them. So I read the book for the story, not because of who he was. I don’t remember where I first heard about this book. I think someone may have mentioned something about it on Facebook or Instagram. As soon as I read a little about the book I knew I had to read it. And I am so glad that I did. I am also glad that Jimmy Wayne was willing to share his story. So many people hide from where they come from. Jimmy Wayne doesn’t. Sharing a story like his takes courage and I am thankful he choose to share it. This book was a tough, but good read for me because my mom grew up in and out of foster care. Her life was similar in many ways to how Jimmy Wayne grew up, which is why this book was a tough read for me. My mom was born in the late 1940’s. Jimmy Wayne was born in the early 1970’s. Jimmy Wayne is my age, not my mom’s. He grew up in a different generation, yet over and over again I felt like I was reading my mom’s story as I was reading Jimmy Wayne’s. No their stories are not exactly the same. There are a lot of differences, but so much of their stories are the same. Growing up in foster care, in and out of the system, gives you a life few can understand. This book helped me understand more about that life. It is not a book that everyone will enjoy, but it was well worth the read. This book deals with some touch subjects in detail, so again it was not an easy read or one I would reccomend for kids, but I am so glad I read it. Now if you made it through that whole post and all my reviews I would love to hear what you are reading. Have you read any good books lately? Have you read any of the same ones I have? What are your thoughts? I am in the minority with you on “All the Light We Cannot See”. I received this book for Christmas and I really wanted to like it. I kept wondering why I was struggling so much when so many others loved it. I have not yet finished it. I am hoping that maybe if my mood was different I would like it. But so far, I have not loved it. I am reading “Up From the Grave”. It is a Christian fiction novel. I have just barely started it so no feelings on it as of yet. I am also trying to read “Examine Your Faith”. This again is another book that a lot of people loved completely but I struggled to even get into. I am trying again with it also. I was beginning to think that I was the only one that did not love that book, so I am glad to know that someone else struggled with it too. It wasn’t that it was a bad book, it just wasn’t the book I thought it would be after all the raving reviews I heard about it. Thanks for sharing what you are reading. I love hearing what others are reading! If you like business type books you would probably enjoy the Pixar book. I love reading about how companies are built and the struggles people overcome. You can learn so much reading about other people’s success and failures. So often we see the sucess of companies and don’t realize what all went into that success. I was just reading reviews on Amazon, too, and they all definitely agree with you that it’s a very worthwhile book. That’s so very true on not knowing all it took for companies (or individuals) to achieve success. It’s nice to be inspired to keep moving forward and try different things. It sounds like this book is pretty open as far as telling you why some things worked and some didn’t. I’ll definitely read it. Thanks again, Lynn. I just finished All the Light we Cannot See and found it difficult to read because of the jumping back and forth in time. I volunteer at our local library and had been waiting to get it as it was on reserve for a long time. Not what I was anticipating at all. I loved most of L. M. Montgomery’s books, especially the Anne of Green Gables series. The Blue Castle was one of my favorites; my 13-year-old daughter recently read it, and she liked it, too. The only books that I didn’t care for by L. M. Montgomery were the Emily of New Moon books, and I didn’t read her ghost stories because I don’t like paranormal books. What age range do you think the Women Heroes of WWII is appropriate for? My 12 year old niece is always looking for good books to read. That one sounds fantastic. I was just catching up on my email after vacation. I was happy to see Cheaper By the Dozen on your list! My mom read these books as a girl, and told me about them. I read them in middle school and again as an adult. I looked at the library a couple years ago, but they are no longer available. 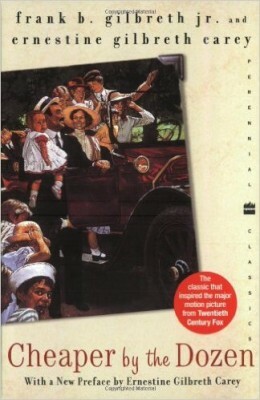 I just bought Cheaper by the Dozen for my Kindle, and I know I’ll be buying Belles on Their Toes too! Have you ever seen the original movies, with Clifton Webb & Myrna Loy? They are good too. It has been years since I saw the original movie and I need to watch it again. I loved it. I can’t believe it has taken me this long to read the book!